With improved softness and a better fit that helps to prevent sagging, our new Nappy Pants provide more comfort for curious toddlers exploring their world. Pull up your baby’s pants quickly and easily with our new and improved Nappy Pants. The 360° stretchy waistband is designed to move with your toddler’s body. Change your active toddler while they’re still standing, wriggling or dancing. With zero tabs to struggle with, our easy to tear side seams make change time effortless! 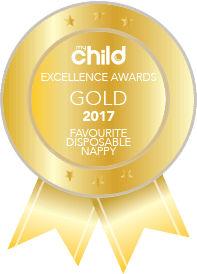 With superior absorbency that is perfect for day and night use, our new Nappy Pants are carefully designed to maintain the original shape of your little one’s body. Prevent Sagging with New Nappy Pants! Say goodbye to saggy nappies! 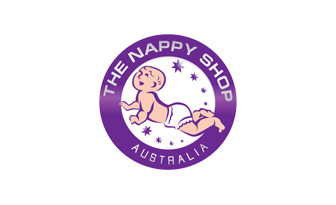 The new Nappy Pants offer improved softness and a better fit that helps to prevent sagging. With a 360° stretchy waistband, wider leg gathers to prevent leakage and easy to tear side seams, change time has never been easier for you and your active toddler. Your toddler can look forward to a better fit that helps to prevent sagging and leakage. This soft, snuggly fit does not sag when wet or restrict movements. Change time with our new Nappy Pants has never been easier, and more fun. Try our updated, colourful package designs that will excite your little adventurer.